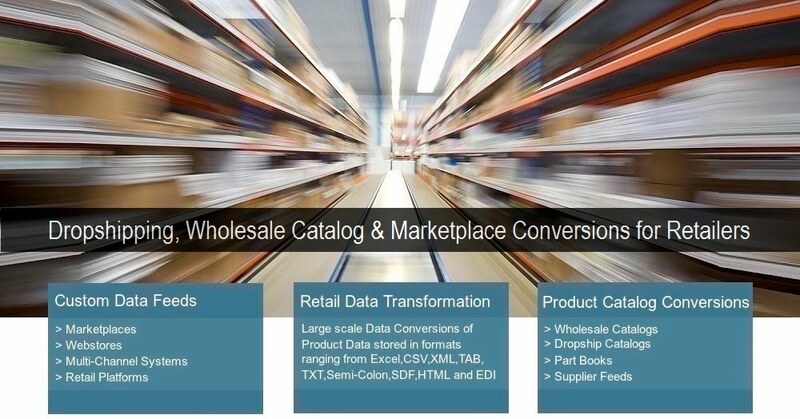 Marketplace Enablement services for wholesale and dropship suppliers requiring the conversion of product data from wholesale catalogs and part books into pre-formatted marketplace ready for use by customers. Enabling Factory Direct Retailers to take products direct to marketplaces and webstores from MRP, ERP Warehouse Management, Inventory and Stock Management systems exports direct to online buyers. 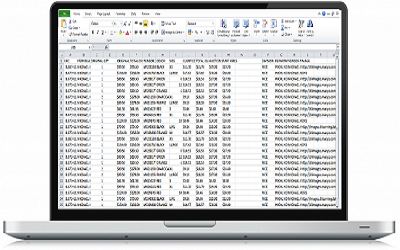 Providing Web Agencies specialist retail data expertise to help service their clients’ product listings and data conversion requirements for various marketplaces, webstores and comparison sites.